Full face masks have taken the snorkelling scene by storm over the past few years, and with good reason. 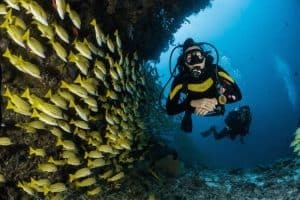 They offer a really unique snorkelling experience, and have some big advantages over a traditional mask and snorkel set. There are, however, a huge number of products on the market, varying widely in both price and quality. After the summary table below, we discuss the key features you should keep an eye out for, followed by detailed reviews of the best full face snorkelling masks on the market. This may not seem like a big deal, but some find hours of snorkelling with a traditional snorkel quite painful. Others suffer from an unpleasant gag reflex as the result of the traditional mouth piece. The full face mask eliminates these problems with the added benefit of being able to breathe through both your nose and mouth. 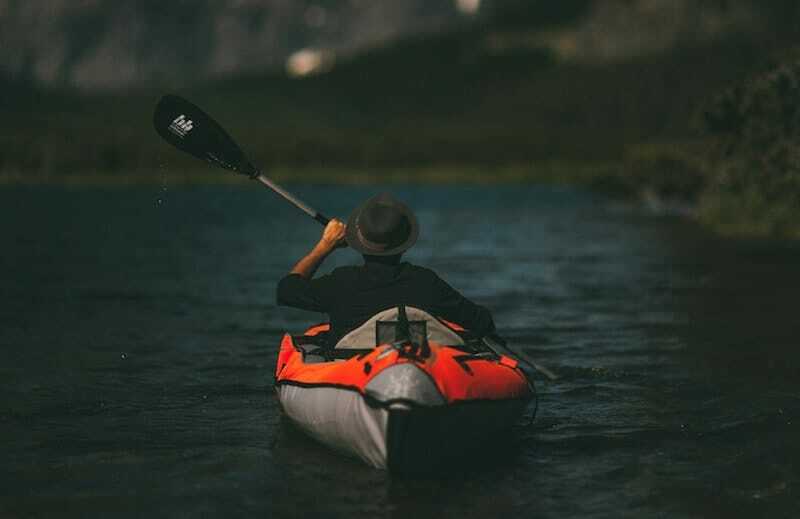 Unless you are using a fully dry snorkel of the traditional design, you will end up with water in your snorkel that needs to be cleared each time you resurface, and often ends up in your mouth. Full face masks remove this issue with a valve that prevents any water from entering. Full face masks do not have the traditional skirt surrounding the lens restricting visibility of the user. They therefore provide a panoramic view and a fully immersive snorkelling experience. Due to their built in two way air system, full face masks are much less prone to fogging than the traditional variety​. One of the downsides of full face masks is the reduced access to your nose, meaning you cannot equalise, making them appropriate for shallow snorkelling only and not for diving. 2019 Update: Some manufacturers are now releasing full face masks with equalising capabilities. Some users report that they notice less oxygen flows through the full face mask vs the traditional variety, which is backed up by comments from some manufacturers. This makes them less appropriate for exercising in, and more suitable for casual snorkelling. Australian brand Ninja Shark addresses many of the safety concerns people have with full face masks here. Now that you have an idea of the pros and cons of this exciting new variety of mask, read on for detailed reviews of our recommended products in the market. Ninja Shark have once again proven themselves to be market leaders in the world of Full Face Masks. 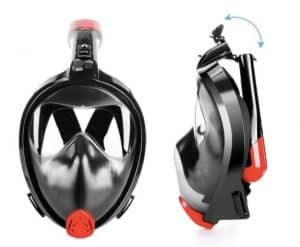 With the 2019 release of their Equaliser Full Face Snorkel Mask, they incorporate a host of new technology, all with the focus of making full face masks more comfortable, reliable, and safe. The main selling point of Ninja Shark’s mask is its revolutionary breathe flow system, allowing users to breathe naturally, through both their nose and mouth, allowing them to fully enjoy the experience of exploring an underwater world, without any concern or discomfort. This is the result of its three air chambers and four intake valves, which allow for improved air circulation. This design also results in a mask that is more comfortable to use, is safer (no CO2 buildup), and one that is much less prone to fogging. The introduction of the equaliser in this mask was a direct response to a common criticism of full face masks - that they are only suitable for surface snorkelling and are not safe for diving below the surface. With the ability to pinch your nose, users are now able to explore further and deeper than ever before. What’s more, Ninja Shark is an Australian owned and operated business, offering fast and local shipping and a Lifetime Warranty on all products. Note Ninja Shark also make a kids mask, available here. 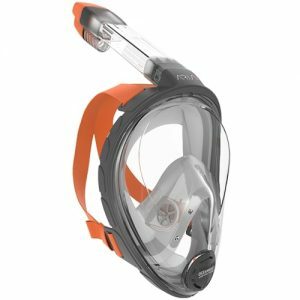 The original, and one of the most popular full face masks in the world, the Seaview 180 by WildHorn receives rave reviews from almost all who get the chance use it. Manufactured only with high grade materials, the Seaview 180 features fully adjustable comfort straps, a fog resistant design, and integrated GoPro camera mount. With high quality silicone skirting, this mask rarely lets in any water. But if you are unfortunate enough to get a small leak, you can rest easy knowing the one way valve in the bottom of the masks allows water to escape without needing to take the mask off or blow through the snorkel. ​​Available in four different sizes, the Aria full face mask from Ocean Reef is one of the most popular on the market. Featuring a huge wide angle lens, the Aria mask offers superior field of vision, while design ensures air is circulated through the mask, reducing the risk of fogging. With a polycarbonate lens and surgical grade silicone skirt, this is also one of the best quality, and a product you can trust will hold up against the elements in your next snorkelling adventure. 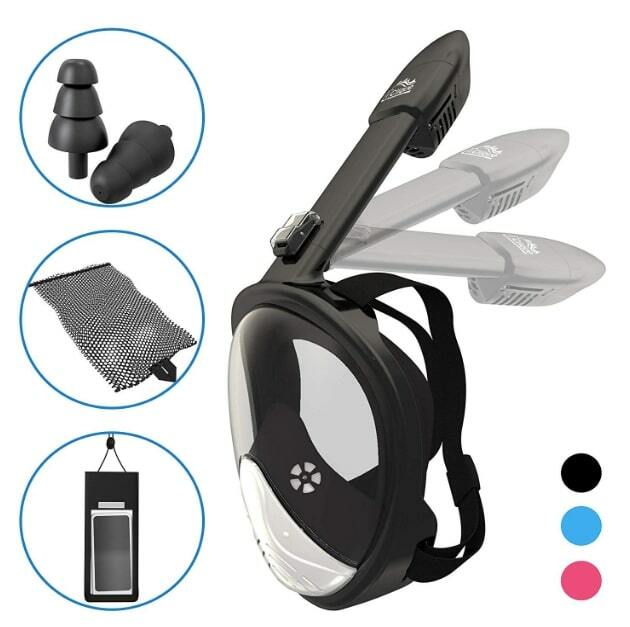 Feature packed, the Aria also includes a camera mounting dock, “dry top” to stop any water entering the snorkel, and light colours within the mask to provide the brightest possible viewing experience. The Australian designed Ninja Shark should be near the top of anyone’s shortlist when looking for a full face mask. 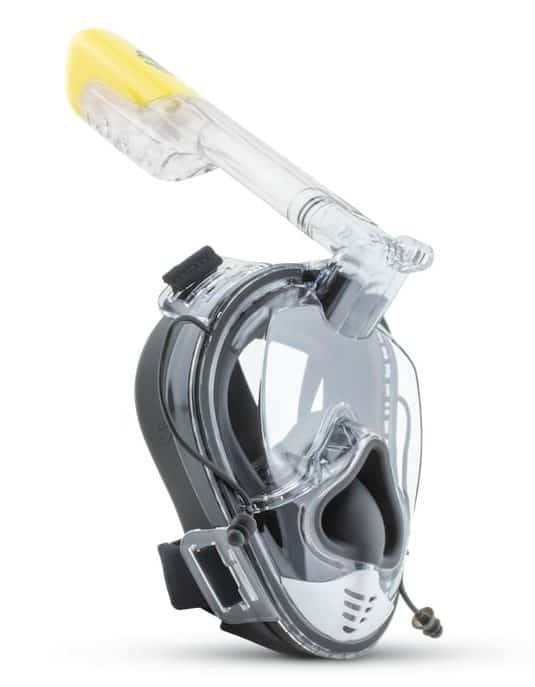 Built with very high quality materials, one of the key things differentiating this mask from the rest is its unique foldable snorkel tube, making installation and transport a breeze. Features of the Ninja Shark include anti-fog design, flat lens providing 180 field of vision, environmentally friendly anti-allergic medical grade silicone, and a leak-proof dry top seal. 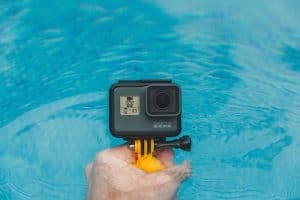 Further, a detachable camera mount provides you with the option to capture your underwater adventures for future viewing. To top it off, Ninja Shark offers a lifetime warranty and no questions asked satisfaction guarantee. ​One of the best lower cost options on the market, the iClique full face snorkel includes many of the features found on more premium products. Featuring double channel airflow to reduce fogging, high quality silicone seal, dry top snorkel, GoPro camera mount, and an adjustable fabric headband, it’s easy to see why this mask is so popular. Offering full 180° panoramic viewing, the iClique is sure to add an extra element of excitement to your next snorkelling adventure. ​Another great option for budget conscious snorkellers, this full face snorkel from RockPals also receives rave reviews from those who get the chance to experience it underwater. A big advantage of the RockPals mask over other options is its sizing options. With S/M, L/XL, and a specific Kids size, you can fit out your whole family with these full face masks. 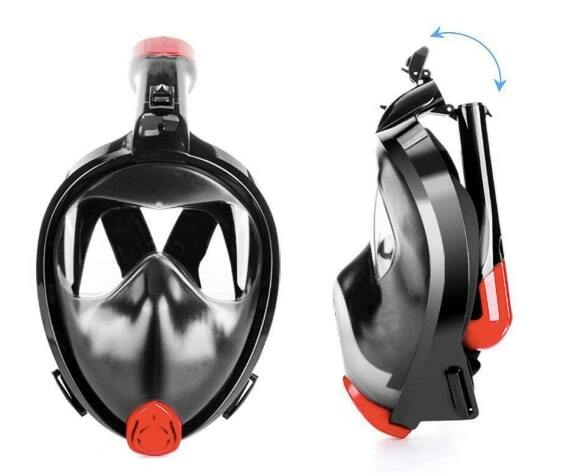 This full face mask includes all the usual features you find on high end products such as free-breath/anti-fog design, full 180° panoramic viewing, detachable GoPro mount, high quality silicone, and adjustable straps. There are also 4 different colours to choose from. 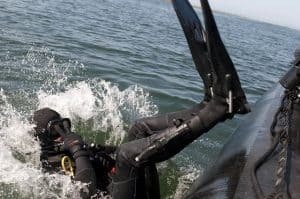 There really are some great advantages offered by the full face mask over the traditional variety of mask and snorkel, and we think the innovation and reliability of the Ninja Shark Equaliser makes it the best option for people looking to make a purchase. The fact that it comes with a lifetime warranty and is manufactured by an Australian family business are both added benefits. 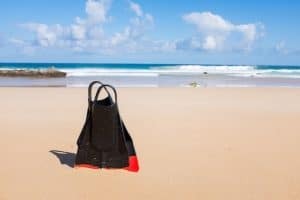 Once you've found the best mask for you're next underwater adventure, make sure you check out our write up on the best fins for snorkelling - no snorkelling trip is complete without them! Can you breathe underwater with a full face snorkel? 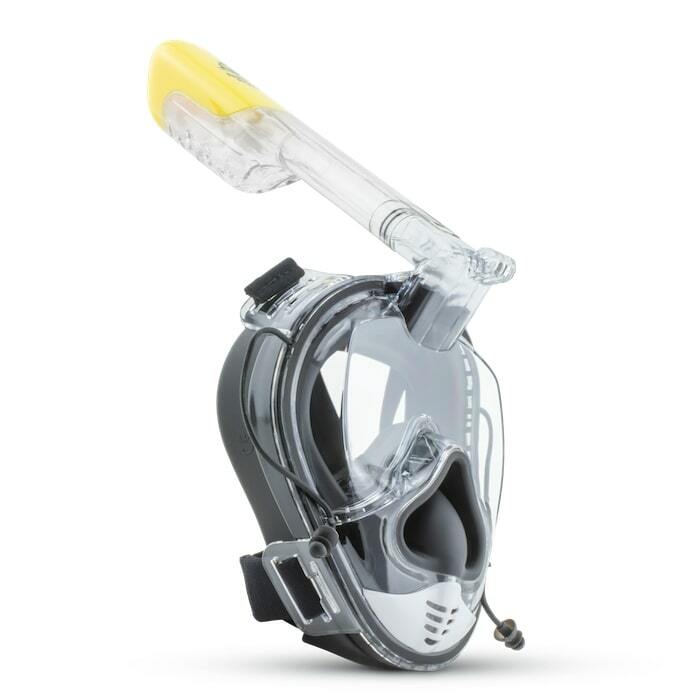 Similar to a traditional mask and snorkel set, with a full face mask the top of the snorkel needs to be out of the water for you to be able to breathe. 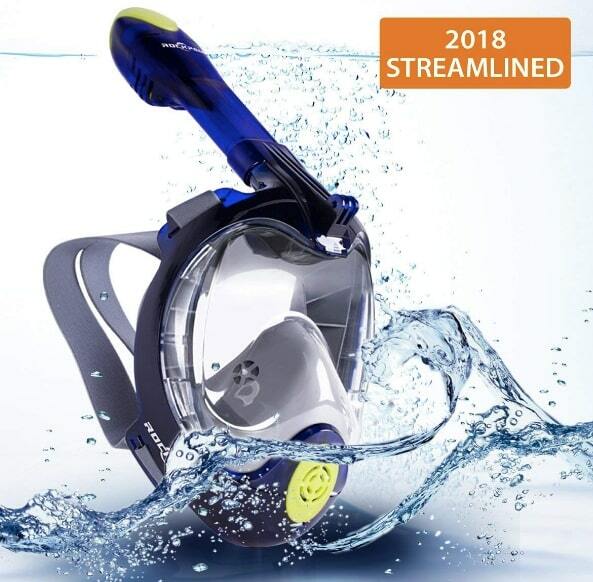 You are able to hold your breath and dive below the surface, and a floating ball design in most products will seal the snorkel so no water can enter. You can then blow out any water that does make its way in once you resurface. 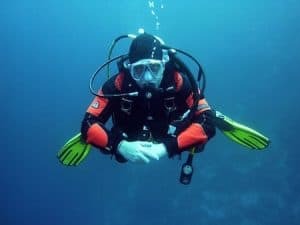 It is recommended, however, that you follow manufacturers guidelines when diving with full face masks, as often this increases air pressure around the face. How do you measure for a full face snorkel mask? Most full face masks use the vertical measurement from the bridge of your nose to the tip of your chin. However, the sizing with each product will differ so be sure to check the manufacturer’s size chart. 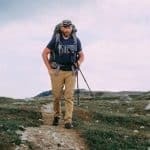 For example, with the WildHorn Seaview 180, it is recommended that if the above measurement is above 11.9cm, you choose a L/XL, and if below this a S/M. Can I snorkel with a beard? Depending on your beard shape and size, it is possible, but generally beards and snorkelling don’t mix well. Anywhere the mask needs to form a seal around your face needs to be free from obstruction, and unfortunately facial hair is likely to cause problems in this regard. 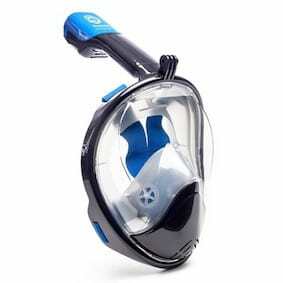 Where can I buy a Full face snorkelling mask in Sydney, Perth, Brisbane or Melbourne? Given full face snorkels are still fairly new to the market, the best products are generally only available online in Australia. If, however, you are set on checking one out in a physical store, your best bet will be your local dive or sports shop.